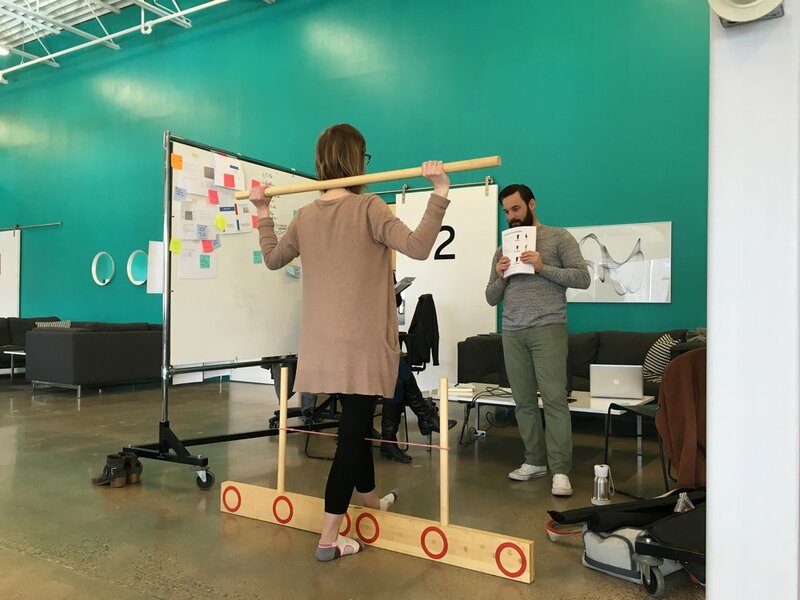 The VinnaVel web application was originally created by a development cohort at Prime Digital Academy to provide a solution for Vinna Fitness' Functional Movement Systems screening program. I took this existing framework and worked to evaluate, test, and prototype recommendations to improve the usability of the app. Vinna Fitness is more than a gym; it offers clients the ability to reach their goals through classes and training. All new clients are put through the Functional Movement Systems screening to take baseline measurements and help build a personalized training plan. They also offer screening services to employers to make sure they are filling jobs with right-fit people. The VinnaVel application, an online system built by a Prime development team, was created to help manage and record these screenings. With the nuts and bolts in place, I was tasked with examining this existing app and then recommending and prototyping usability improvements that would enhance the VinnaVel user experience. 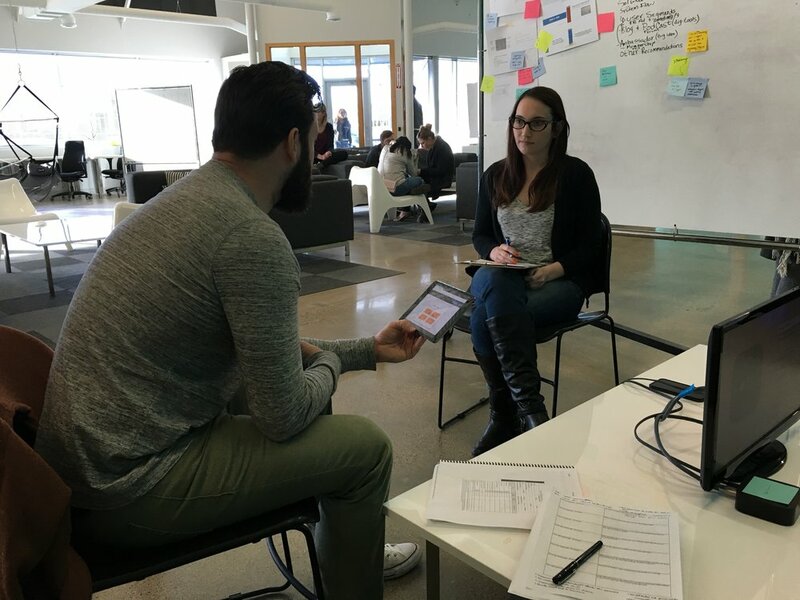 Through a cognitive walkthrough and primary user research, I gathered data relating to the usability of the application and determined if and where usability and functionality might be improved. 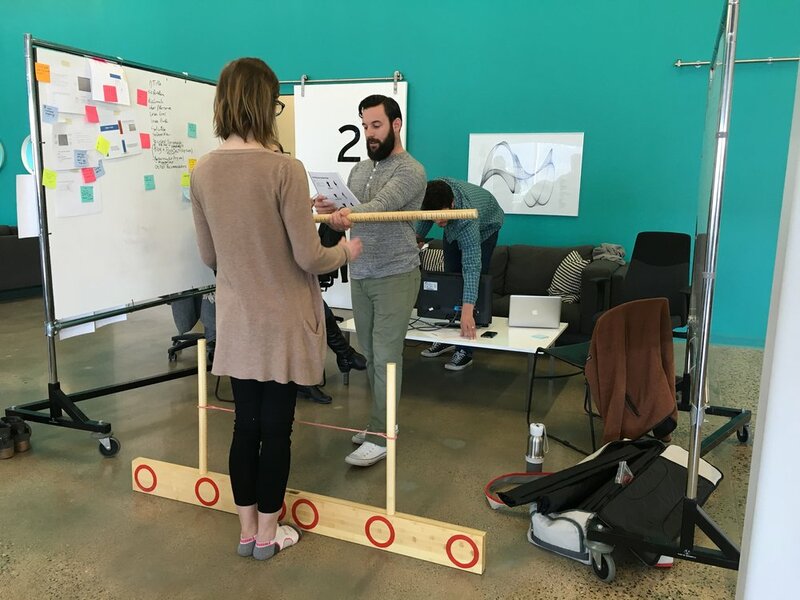 An interactive prototype was then created to document the changes and provide a jumping off point for additional testing. In order to evaluate the current application, a cognitive walkthrough was necessary to document the current state of the app, including the effectiveness of possible actions. In performing and recording every possible action in the app, I was able to learn a great deal about what it was capable of and where pain points were surfacing. Though these problem areas were distracting, they didn't interfere completely with what I was trying to accomplish (moving from screen to screen, filling out forms as necessary). However, I didn't have a thorough framework in which to couch my findings. 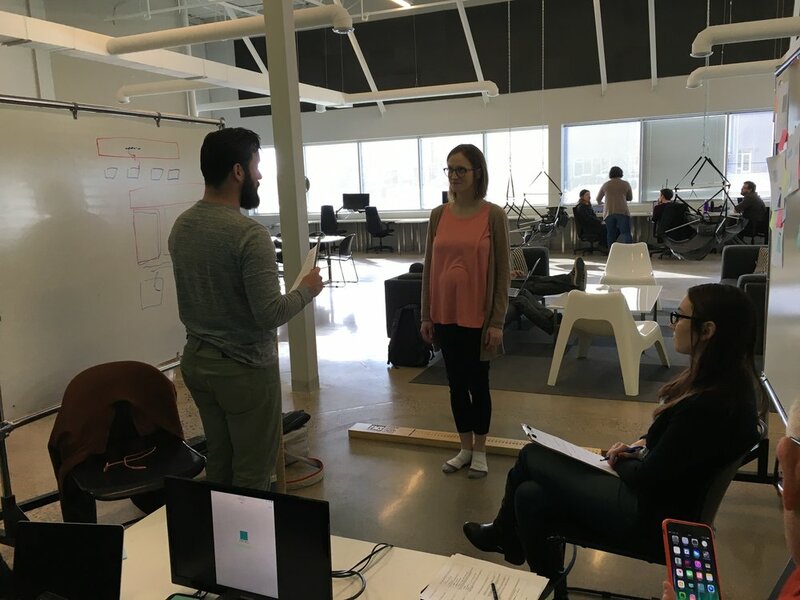 Primary user research would be the next step in understanding the context of the application and how the design performed in a more authentic environment. We were able to schedule time with a trainer from Vinna Fitness who had over 5 years experience performing FMS screenings. He was familiar with the paperwork traditionally used to complete the assessments, and obliged to walk us through some of the tasks involved in the test. Unfortunately, our user was not at all familiar with the administrative/corporate side of the FMS testing, which was the main function of the application. However, we learned a lot about the different types of clients, the frequency of testing, the journey of paperwork, and what the FMS screening actually looked like in action. Because the user testing offered great insight into the Vinna Fitness FMS screening, I chose to focus on the opportunity areas of the application rather than making improvements to the narrow focus of the app as is. Our user was conducting 3-10 screens on fitness clients weekly, while only performing 1-2 corporate exams per year. It seemed clear that this application could be a solution for all FMS screens carried out at the gym and would streamline the workflow for trainers and the owner alike. The new VinnaVel application aims to make FMS screening easy, streamlined, and flexible. It also ensures that trainers are able to access, edit, and review client information, as they are continually working with and keeping track of different clients. The original application was fairly straightforward, with different screens for starting an assessment, searching for past clients, adding or editing companies, and adding or editing trainers. My goal was to increase the flexibility of these tools, and the first step was to integrate Vinna Fitness client screens seamlessly into the application. Based on our user research, this meant accounting for additional notes and the ability to review and add information to testing prior to sending along the results. These features would also be useful for the corporate clients, particularly the ability to review and add notes to results. Another major improvement to the application was to integrate the FMS guidebook right into the app. By including the instructions, tips, and scoring guide directly into the application, trainers will no longer have to juggle numerous resources while guiding the client through a screen. They can simply read from the iPad, record scores, and include supplemental notes as needed. You can click through the interactive VinnaVel prototype above to view the suggested improvements. Not sure where to start? Click anywhere on the iPad screen and clickable areas will highlight in blue. If you'd like to learn more about specific features, you can view an annotated prototype over at InVision. I loved envisioning interactions in this prototype and thinking through how a user would be moving through the application. My next steps will be completing the user flow for the other aspects of the app, implementing a few improvements to the search, company, and trainer functions, and adding and fine tuning feedback windows for various actions. Additionally, it would be necessary to test this with additional Vinna trainers to ensure I am on the right track for moving forward.